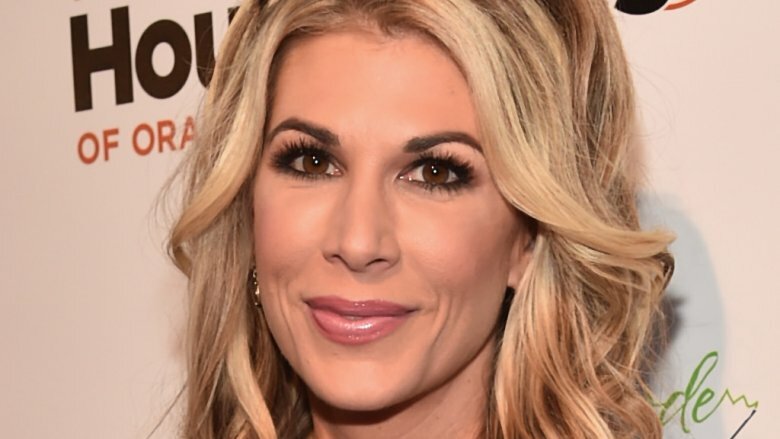 Former Real Housewives of Orange County star Alexis Bellino is so moving on. On Sunday, Feb. 3, 2019, the Bravo alum took to Instagram to reveal she has a new boyfriend named Andy Bohn following her high-profile divorce from businessman Jim Bellino. 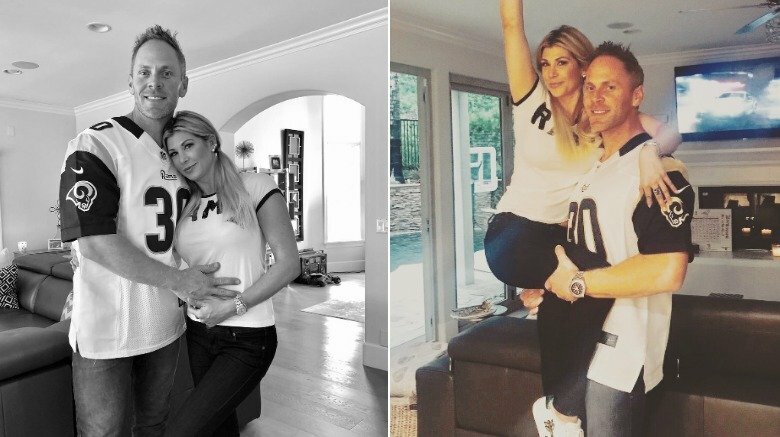 "RAMS Fam here @acbohn," Alexis Bellino wrote to her 311,000 followers, captioning a sweet black-and-white snapshot of the new couple twinning it up in support of the Los Angeles Rams during Super Bowl LIII. She added the hashtags, "#loveisintheair #myforever." The 42-year-old went on to share another photo of the pair celebrating the Rams' only field goal of the low-scoring game against the New England Patriots. According to Us Weekly, the television personality quickly clarified a few things with fans who took note of Bohn's hand resting on her stomach. "No I'm not preggers, he is holding my hand," she wrote in a since-deleted portion of the caption. While effectively shutting down any baby rumors, Bellino went on to hint that things are getting serious between the two, adding, "But we wouldn't mind one more in the future." As Nicki Swift previously reported, Jim Bellino filed for divorce from his wife of 13 years in June 2018. While citing irreconcilable differences at the time, he requested joint legal and physical custody of their three children: 12-year-old son James and 11-year-old twin daughters Melania and Mackenna. "It is with heavy hearts that we inform the public of our mutual decision to end our marriage — but it's important to us that you know we made this choice together, with love, and as the best decision for our children's future," the amicable exes released in a joint statement shortly after. "We hold one another in the highest regards as spouses, and especially as parents. We have agreed on 50/50 custody of the children, and we ask that you respect our privacy by not theorizing about the reasons for our divorce." According to People, the former couple finalized their divorce that August. Elsewhere in the reality TV circuit, Kendra On Top star Kendra Wilkinson is reportedly dating Bachelorette alum Chad Johnson following her highly-publicized split from her husband-of-eight-years, former NFL star Hank Baskett. Readers may remember that the former couple officially called it quits in April 2018. However, shortly after reports of Wilkinson and Johnson's alleged blossoming romance surfaced in late January 2019, the Girls Next Door alum tweeted, "For the millionth time. I'm not dating right now. I'm basically a f**king virgin." The 33-year-old later jokingly added, "Been there done that. Trying something new and going celibate."